It is 34 days until I leave for my New York wedding and I STILL don't have a clue what I'm going to wear in my hair!!!! 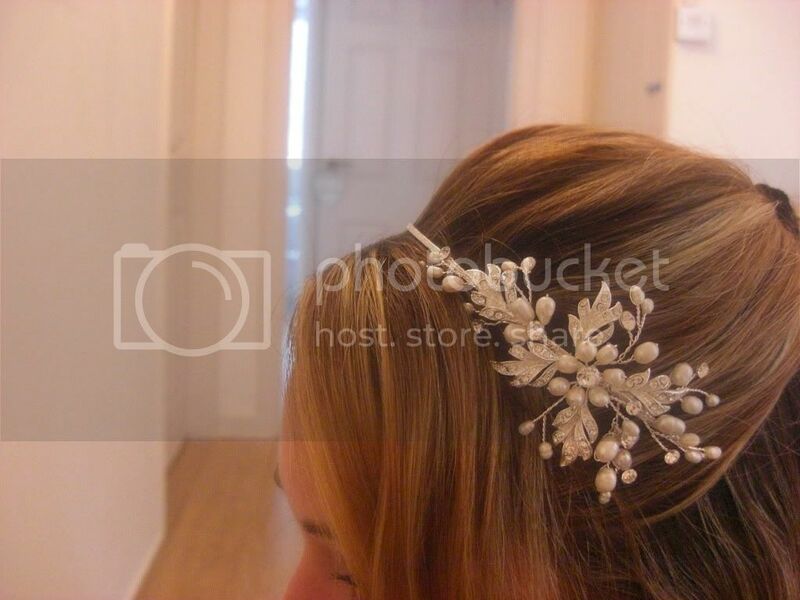 Having half up with soft curls, thought if a side tiara, but only had chance to visit one shop and quite liked one, BUT wasn't 100% sure how it would look. Tried on a small circular vintage crystal and pearl hair chomb brooch (hehe) and it's pretty and all but not sure it's 'enough' although I don't want to go overboard, would like to be fairly simple. Also, my hair is fairly fine so not sure it would even stay in. I can't even find it online now! The lady said it was by Rhapsody but can't see it. 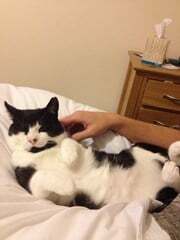 Please please please can anyone help / suggest anything? Getting really worried about it now and don't want to just buy thingsfor the sake of it and hate them on the day. 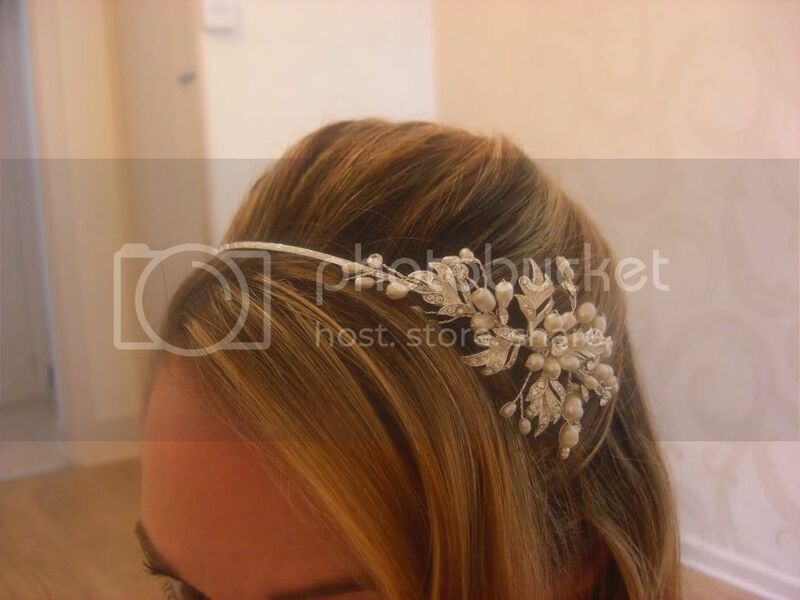 im having soft curls with half hair up but i found a side tiara didnt suit it- have you tried a proper tiara? The pic won't work Hun? What is your dress like? What style are you going for? 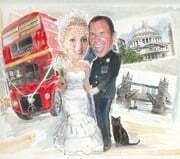 BTW you must post your wedding pics on here - we wanted to get married in NYC but opted for London in the end due to various family reasons. It will be amazing for you!!! How exciting. If you've got fine hair you might struggle with brooches and pins etc. 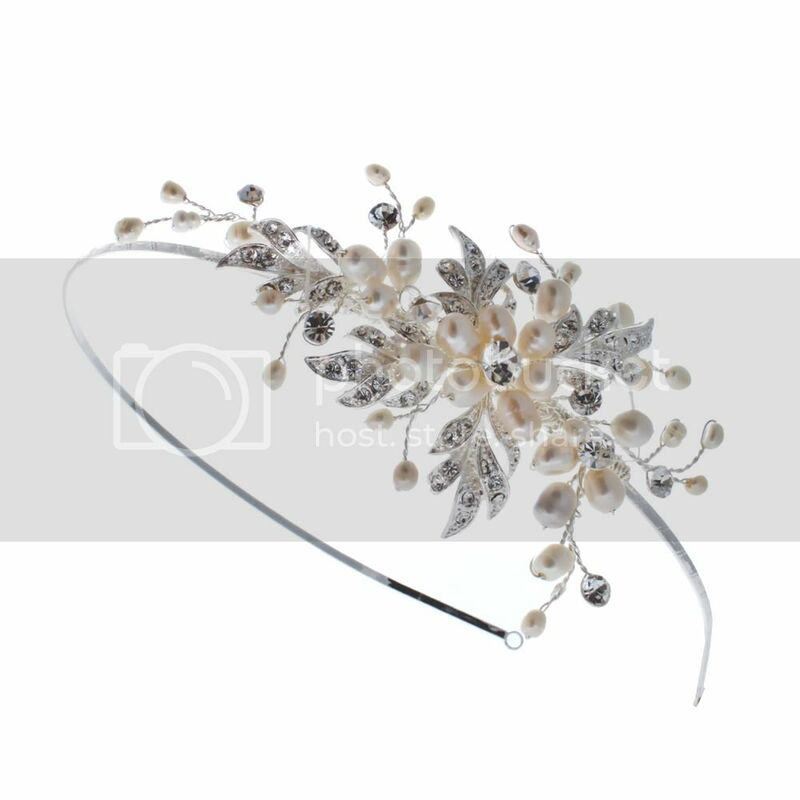 A small side tiara means you won't have to worry about it falling out. Also if you've got fine hair you don't want to have anything to chunky or big because it will take over. You could order a few from Glitzy Secrets and try them and send back the ones you don't want. Mrs Bryan, I can't see your pic? The band has got holes at the end for pins to hold it in place although it stayed in place without them. The others I tried on in the shop had the same thing if you're worried about it moving. Thanks Hun, I'l have a look!